2013 Champions League Final: How could Nike, adidas and Puma Maximise on the Event? At the beginning of the 2012-2013 Champions League season, Puma, adidas and Nike had respectively 3, 10 and 14 teams in the race. The final will oppose an adidas and Puma team. What could be Nike, adidas and Puma marketing approach for the final in Wembley? With Borussia Dortmund, one of the 3 Puma teams in the final, your approach will be different whether you are a sports marketing manager at adidas, Nike or Puma. I believe that the Puma approach would be to focus on quality versus quantity. Outlining that among 32 teams Puma had 3 squads starting the Champions League season (GNK Dinamo, Olympiacos FC, and Borussia Dortmund), and one of them made it all the way to the final. 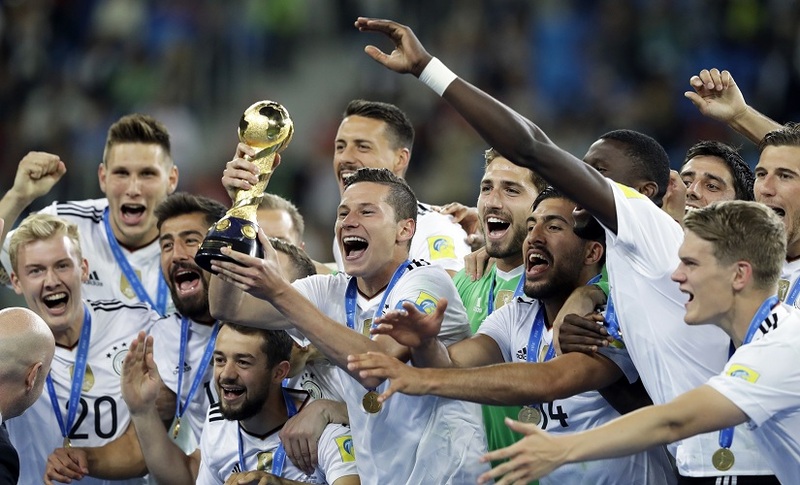 A similar scenario happened at the 2006 World Cup final where Italy, a Puma team won the trophy. Now, is it really quality vs quantity or merely having a good team in your portfolio that could win? I would go for the latter. Anyone who pays attention to the Bundesliga would have bet on Borussia as a serious challenger to the other powerhouses. Same for Italy in 2006! I do not know what Puma is planning for the final on a marketing standpoint, but they obviously cannot communicate using the event’s mark as they are not a Champions League sponsor or partner. This said, they did something creative with Usain Bolt around the French League Cup final between FC Rennes and AS St Etienne. Now there is no doubt that no Nike team in Wembley is a disappointment for the Beaverton firm. FC Barcelona, Manchester Utd, Arsenal, PSG, FC Porto were some of the 14 Nike teams that were serious candidates to win on May 25. None of them will be present. Football is unpredictable, and that’s what we love about it. Who would have thought Barca dominance would end like this, that Manchester United would not even make it to the 1/4 finals and the Italian Champion Juventus Turin would collapse? There is obviously no recipe that guarantees success and we have another blatant example. With no team at the Champions League final and not having the rights to use the official marks of the competition, Nike will obviously have less brand exposure than its competitors. Anyways, Nike will not sit back and let the most famous football club competition go by and do nothing. I am expecting a strong communication on players, smartly engaging fans on social medias and why not customised products like they did for the 2011 Champions League Final? With Ribery and Lewandowsky, we already have a taste of what the Swoosh will be doing prior the event. Check out the Lewandowsky ad; Simple, powerful, engaging. More to come for sure! Now from an adidas perspective, the 3-stripes have Bayern Munich, one of their flagship clubs in the final. In addition to great players on the pitch, adidas is the official Champions League official matchball supplier and can therefore communicate at length around the event. The Champions League Finale matchball launched by adidas is a tribute to Wembley. The referees, ball boys, Champions League flag carriers will be wearing 3-stripes. A meaningful brand exposure for the 3-stripes. Besides having a powerful brand exposure and the opportunity to leverage their Champions League marketing rights, my take on their message will be to communicate on the power of adidas in football and obviously showing ownership of the event on a marketing standpoint. Now, for those familiar with my football marketing blog, you do know the following chart. An overview of the Champions League finals since 1993 and which kit manufacturer “leads the race”. There is a tie between Nike and adidas with 7 victories each. Unless Puma scores his first Champions League victory, adidas will take the lead in the 2 horse race.